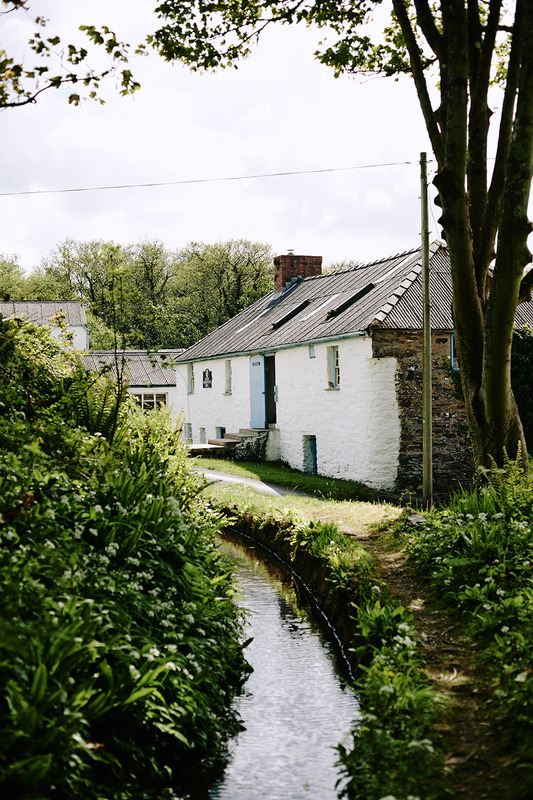 Melin Tregwynt, a small white washed woollen mill, can be found in a remote wooded valley on the Pembrokeshire coast. 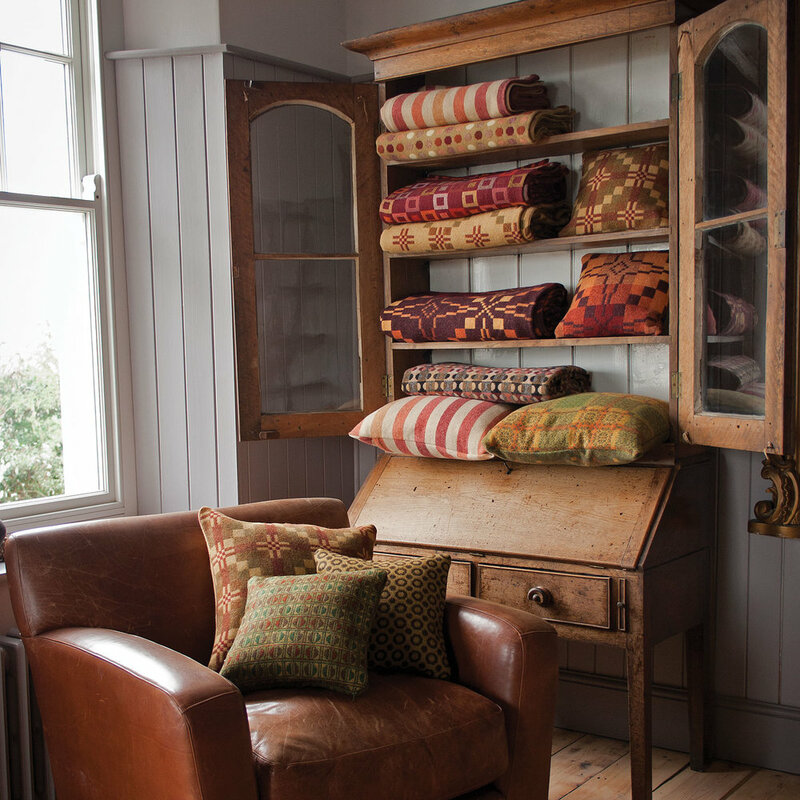 Buying a new cushion, blanket or throw is the easiest way to change a room. 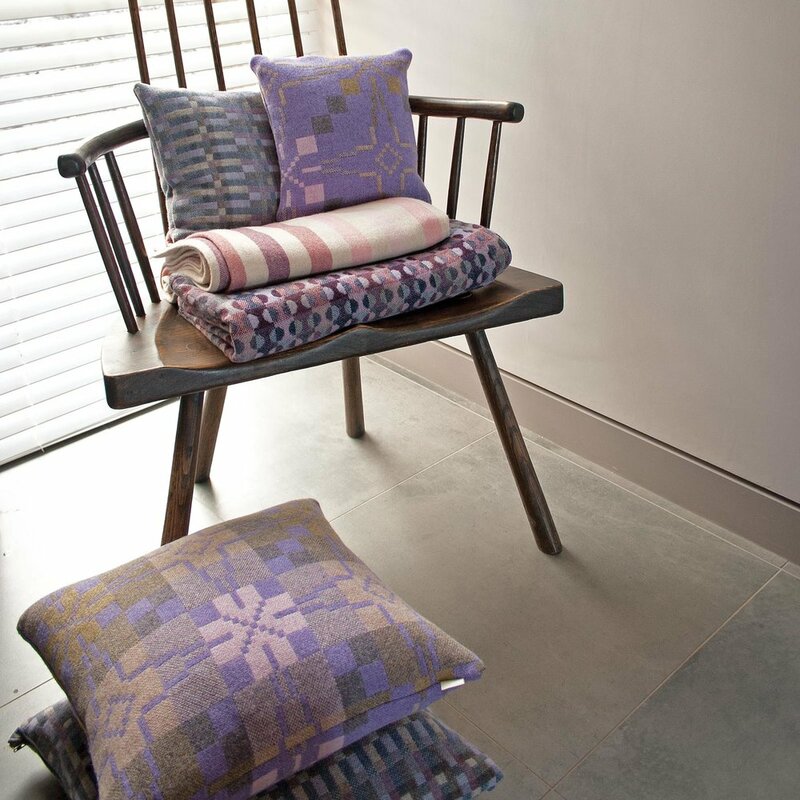 Here at melin tregwynt we try to make things that are useful, beautiful and that will make all the difference to the look and feel of your home. 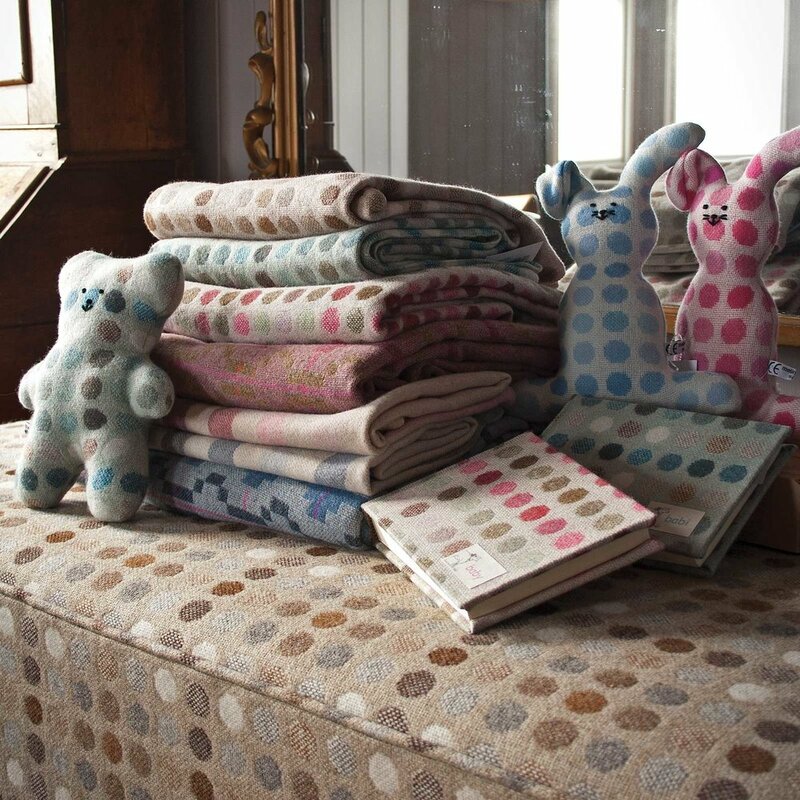 Made here in Wales, our unique designs come in a wide range of sizes: from cushions and throws to baby and full sized blankets. You can choose either by colour or by design. 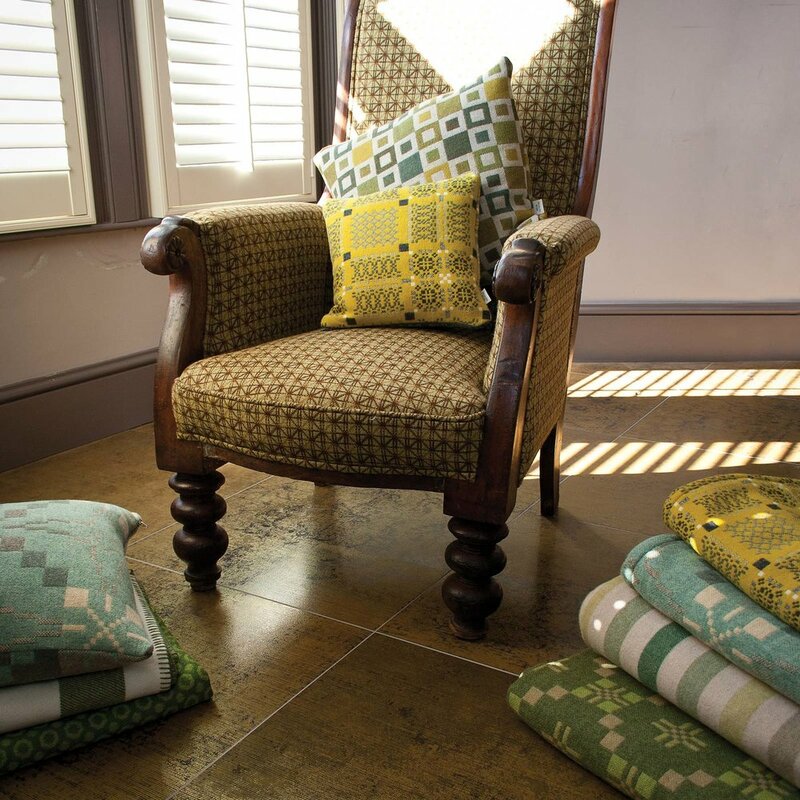 We’re always looking for new ways to use our fabrics, so we also offer a selection of home gifts, a collection of upholstery fabrics and a range of lampshades and furniture in our signature double cloth weaves. We also have an online store. ....but if you'd like to receive a printed catalogue by post please click on the form below fill in your details and it will be mailed to you as soon as it is available. We send out one or two catalogues a year so you won’t be flooded with mailings, and we have no plans to sell our mailing list to anyone else. If we have your email address we will send you regular email updates on new products, promotions and special offers. You can also follow us on Facebook and Twitter. We have stockists throughout Wales but also the United Kingdom and overseas. 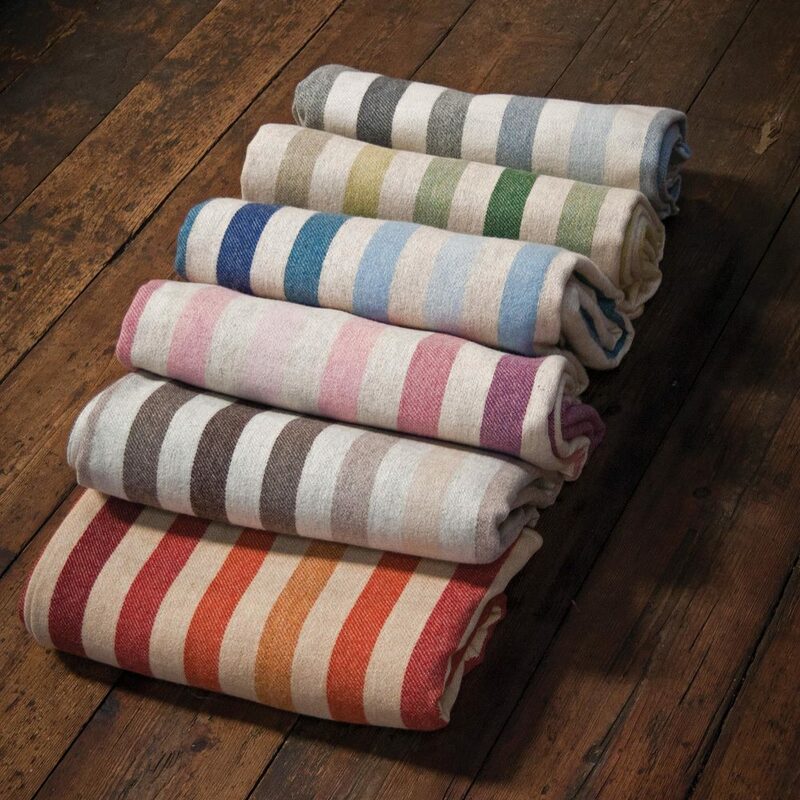 we specialise in doublecloth weaving and offer a wide range of stock supported designs and colours; and the opportunity to order bespoke customised items at very low minimums. 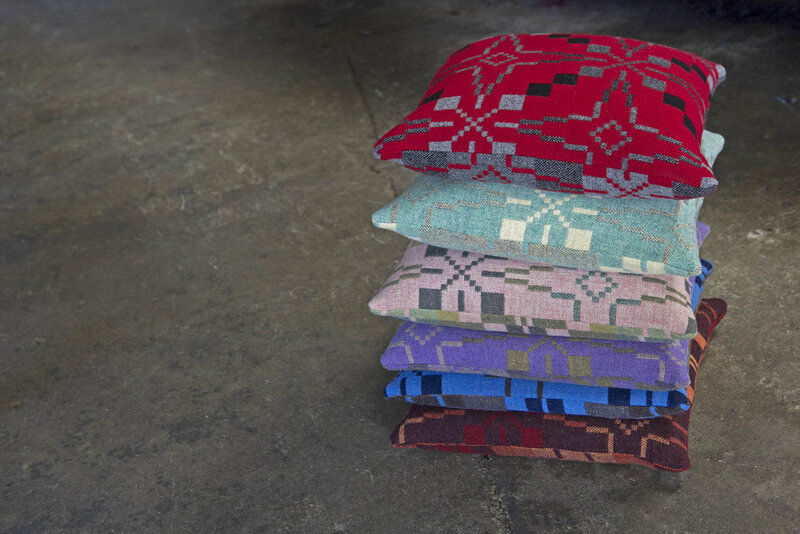 Celebrating over 100 years of weaving in Wales. Some of the stories that make us what we are......just that little bit different! In March we visited Shanghai and Hong Kong as part of a Wales Export Market Visit. The visit was really successful and our thanks go to all those who supported us and made us welcome. 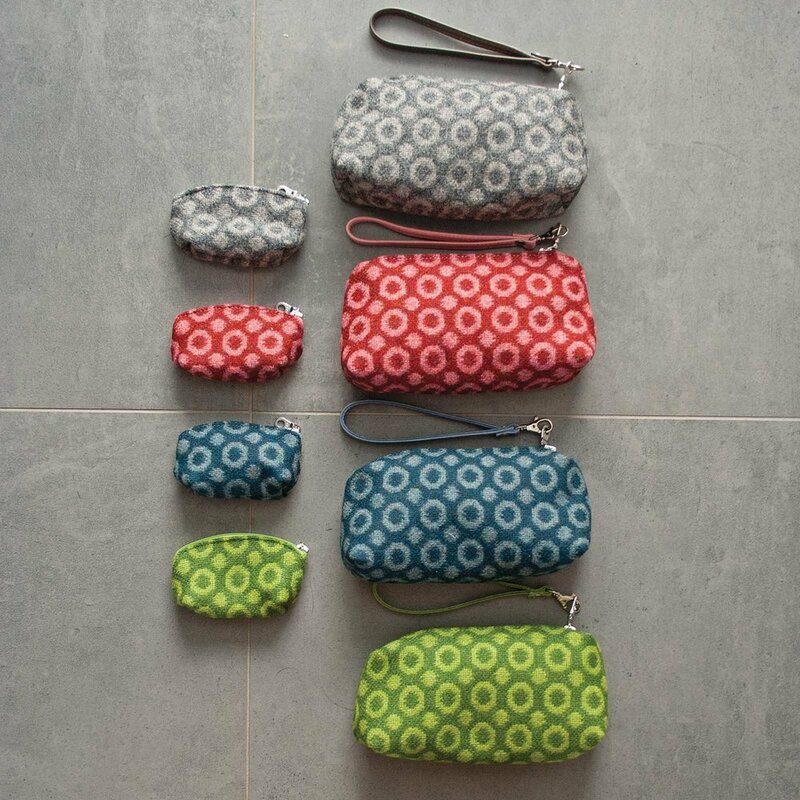 With International Women’s Day having just been celebrated, it seems perfect timing to talk about the inspiration for our new design – Cofion Becca. The design motif features the iconic National Welsh costume for women – now most commonly worn in celebration of St. David’s Day on March 1st. However the classic black hat, shawl and gown outfit is more than just an image of traditional dress – it has had an impact on major events in Welsh history like the Last Invasion of Britain and the Rebecca Riots. So our Cofion Becca – a nod to the traditions of Welsh culture – is a little celebration of what the power of Welsh women can achieve or, in the case of Rebecca, the power that dressing as a Welsh woman can imbue. Llaeth y Llan launch a limited edition Christmas Pudding Yogurt and to coincide with the yogurt on sale in stores throughout Wales, the design on the pots has been commissioned into a highly collectable limited run of Welsh blankets and pillows woven here at Melin Tregwynt. Nant Gwrtheyrn or “the Nant” as it is often called, is home to the National Welsh Language and Heritage Centre, a magical place located in a former quarrying village on the northern coast of the Llŷn Peninsula in north Wales. 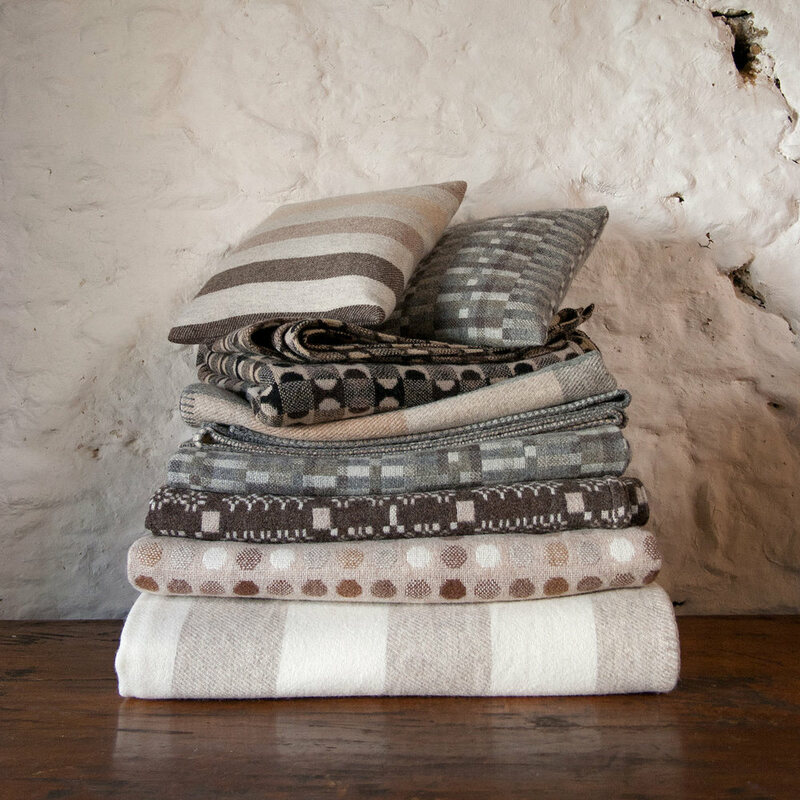 Using the subtle colours of the sky, sea and land found in this very special part of north west Wales, the blankets are woven from pure New Wool and are both beautiful and practical, hard wearing and easy to care for. For their book “A Year in Pembrokeshire” photographer David Wilson and broadcaster Jamie Owen spent a year travelling around their beloved home county documenting communities and lives lived out in one of the most extraordinary landscapes in Britain. The annual Melin Tregwynt summer sale is now over. Blankets, throws, cushions, clothing and home accessories were all available half-price and it was a fantastic weekend at the mill.